These are finally done curing and can now be reassembled. Our collection is getting smaller, but still several hours worth of work to go. 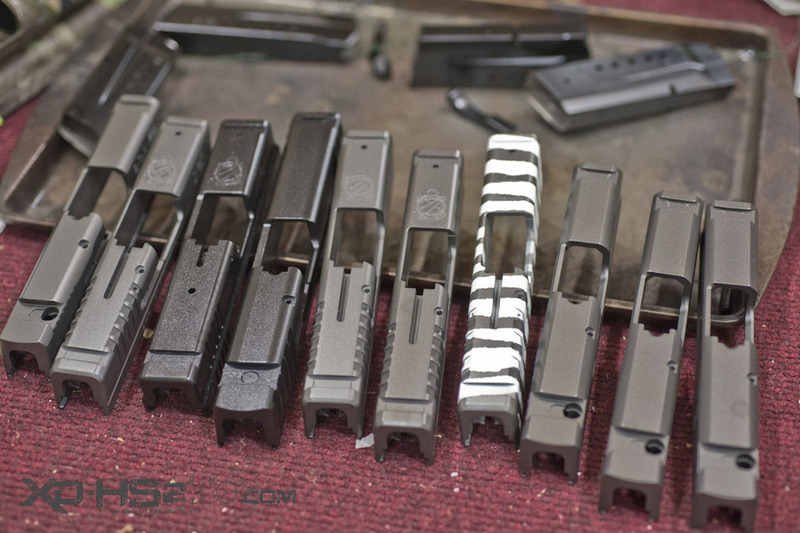 In the back ground are some S&W magazines that have been coated black and some small parts also waiting to be packed up to customers. Slides, magazines and parts all awaiting reassembly and packing.